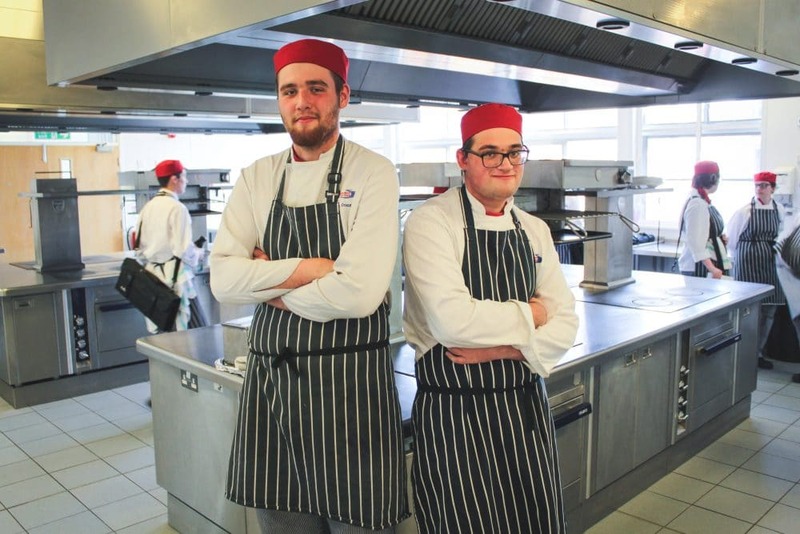 Catering students at Stratford-upon-Avon College have reconnected with education since leaving school, thanks to the learning environment provided by their lecturers. Ronan Cranmer, 17 from Stratford, and James Bye, 18 from Alcester, are currently studying Level 2 Catering. 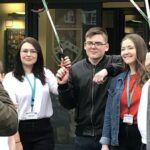 Having found school challenging, they had both left with qualifications that they believed restricted the choices open to them and limited their future prospects and ambitions. But it was a case of Stratford to the rescue! 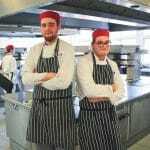 Ronan and James joined the College in September 2017 on its Level 1 Catering course, which, like all its Level 1 programmes, is designed for students who have found school demanding and want to reconnect with learning. Having successfully completed it, they then progressed to level 2 and are both now well on track to achieve their future career aspirations. 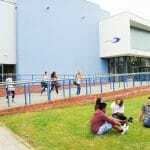 Level 1 courses are available in Sport, Motor Vehicle, Engineering, Health & Social Care, Catering, Business, Performing and Production Arts, and more. Also available are Level 1 programmes that allow students to study this range of disciplines while they identify in which direction they want to take their future careers.